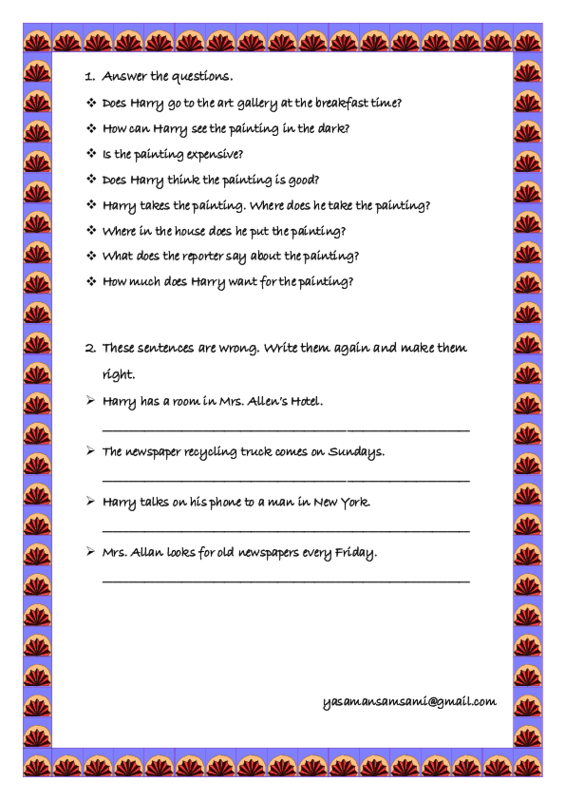 This is a simple worksheet based on Newspaper Chase, Penguin Active Reading. It is designed for elementary levels and it includes 2 activities related to pages 1-10. First, the students are asked to answer some questions. Secondly, they are asked to correct some statements.